A dining set is much more than a collection of furniture. It's the place where you'll come together with your family members or friends, sharing stories about your past and making new memories as you savor delicious food together. It's a place where the stressors of daily life seem to melt away as you unwind. 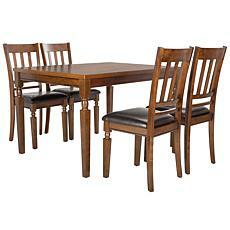 With such an important role, it's vital to choose a quality dining set that suits your home and lifestyle. 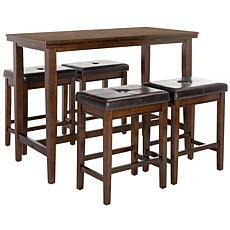 No matter what type of dining set you need, HSN has what you're looking for. 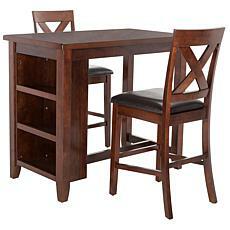 HSN offers a variety of high-quality dining sets, from classic wooden sets to contemporary sets with glass tabletops. A 4-piece dining set is ideal for intimate family gatherings and apartments while a larger 8-piece dining set may suit people with large dining rooms who love entertaining. Remember to consider the look of other dining room furniture, including buffets and hutches, to give your eating area a cohesive look. HSN doesn't want its shoppers stung by high postage fees. 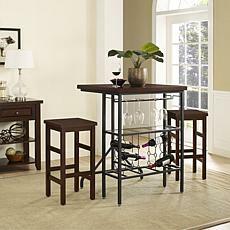 Therefore, it offers free shipping on all its dining sets. FlexPay, which lets customers pay off their purchase in installments, helps you enjoy meals over your new dining set sooner.